Well it is on every bodies mind right now...........it is almost back to school time, with only a week left in August people are out in droves, shopping for back packs, clothes and supplies. This week at Imaginisce it is no less busy with our brand new Geek is Chic release party. 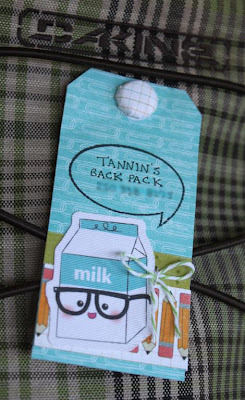 The Design team has come up with a TON of marvelous ideas to help you create one of a kind cards and cool accessories. Be sure to pop on to the blog and check out all the great inspiration. Here is what I have put together !!! This is just what my son in primary needed, his bus number is on the back too!! 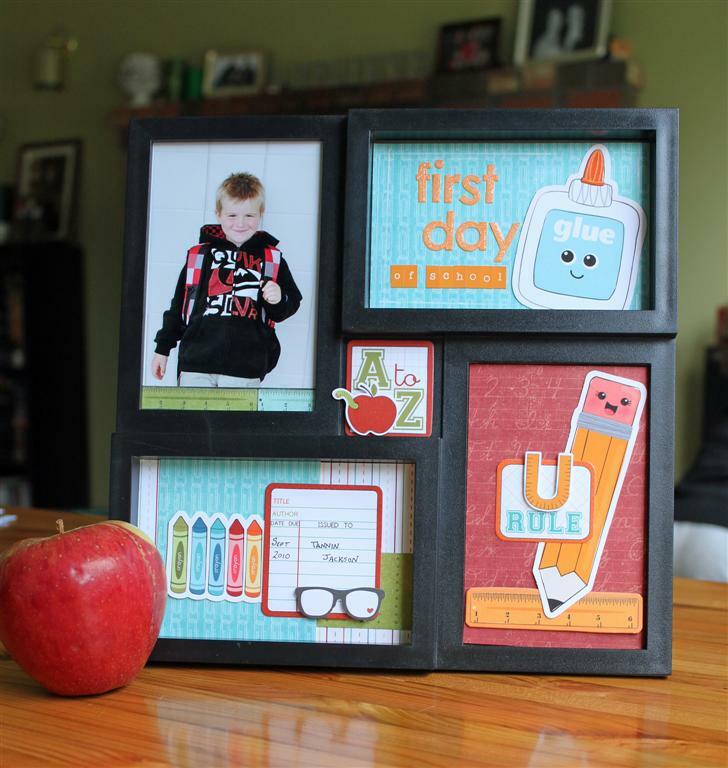 This is just an inexpensive frame bought at the dollar store and decorated, this is so easy with the fun die cuts!! Are you ready for back to school yet??? I've only got to pick up another new back pack and I am ready to go. way cool projects Lydia, I especially love that frame, would be perfect in a little boys room...sweet photo of you too! 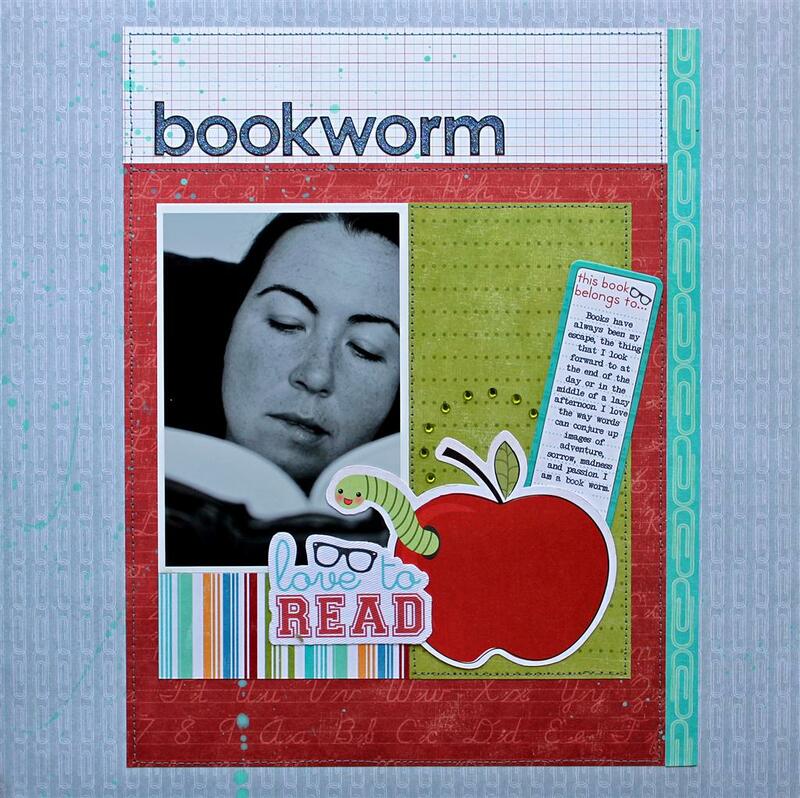 I love the simplicity of the Bookworm layout and the decorated frame is great and great idea for gifts! I love that frame, such a great idea to alter one of the "regular" ones you can find at M's or T :) cute stuff and don't get me started on school!! lol. I love that frame! Those accents are really perfect with that cute pohto. Love the tag and pages - you have such a good style for Core!